Category Archives: Things Furred, Feathered and Fleecey..
started out pretty cruisey as days go….woke up late – then realised it was later than I thought as the clocks went forward last night…no biggie. T went out to collect some archery targets from another club who have very kindly let our club borrow them. He came back and we thought we’d swap the sheep about in the paddocks…Alf and Magnus have had then run of the other paddocks which means there’s plenty of grass there for the girls now they’re all feeding. Magnus was his usual cooperative self and was relatively easy to shift…Alfie however was having none of it. Cut a very long story short he went a little crazy on me started running at me and trying to have a go (fortunately for me I had a bucket which got it and avoided him making contact with me)…too dangerous to have him doing that and the end result is Alf is now minus all those vital parts and is hanging up in the meat safe ..not the way I saw this day panning out in any way shape or form…. End result is Magnus is now on his own in the paddock, the girls and their babies are munching away on the long grass now and we’ll be having mutton tomorrow I think !! Posted in Things Furred, Feathered and Fleecey..
Barbara has had twins yesterday afternoon…..and LOL – well he’s over all these babies here again!!! 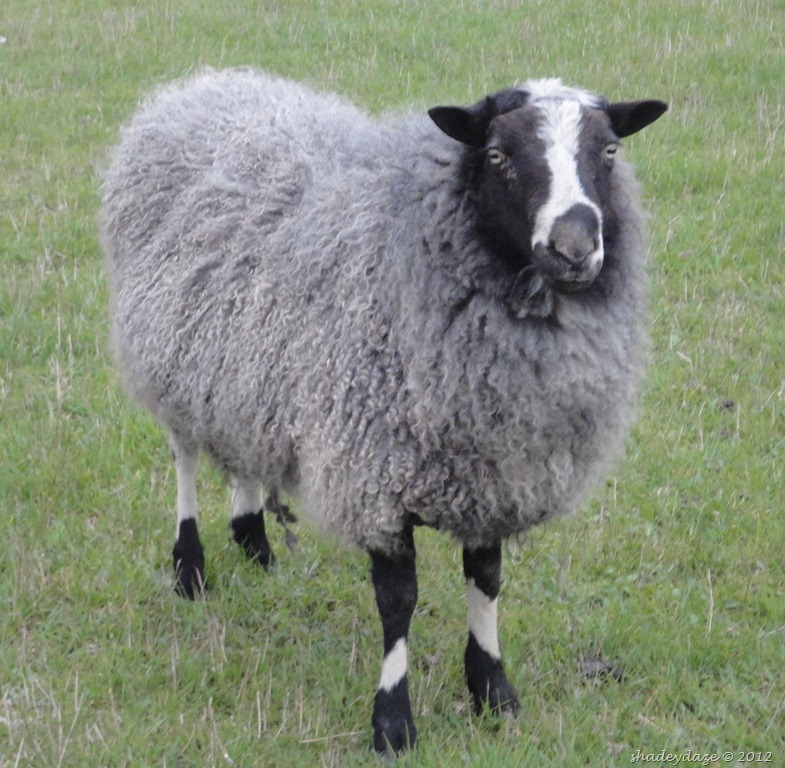 Margo is still to have hers (if she’s pregnant…can’t tell under all that fleece!) but can’t near to her to find out what’s going on and checked Livvi (Dotty’s sister …Barbs twins from last year) over today and she’s pregnant! So 7 lambs so far ? how many to come. Those little ones are really loud LOL!! 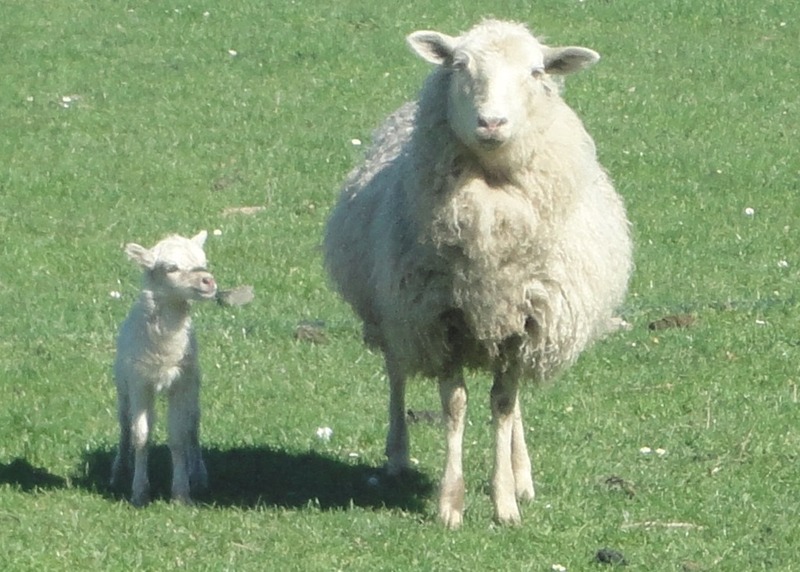 Another little bod arrived today…really wasn’t expecting a lamb from Dotty who was one of our last year lambs but he is very sweet…and very small. Looks very like Kari but has a bit more white on him. This little bod we thought we’d call Sol (Swedish for Sun) because after the wind yesterday today was sunny and warm! 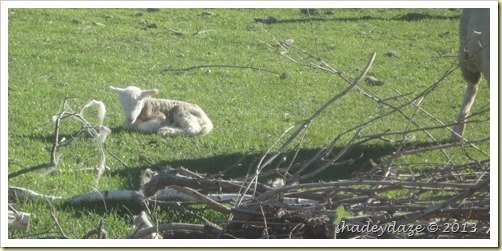 We had a lamb born about 3.30 in the afternoon and the poor little thing was getting blown about quite a bit. Later however the wind got stronger and stronger…the Nor’Wester started to blow through …it’s always a strong wind and it’s warm but this one took on a life of it’s own….A windy day…mmmm that’s a bit of an understatement. We heard fire engines on several occasions …not uncommon when the Nor’Wester blows ..I don’t know why but fires are always more likely when it blows through……we were sat just doing what we do during the evening when everything went black! No surprise the electricity had gone out…. Actually it was really nice just sitting having a natter – you forget just how much life takes over and you stop doing the simple things you did so much before….we’ve decided it was a good reminder so we need to take time out to have candle nights and just talk (so you can get something positive out of this). There has been massive amounts of damage all around the South Island. North Canterbury has a lot of forestry blocks ….there are fewer now after the winds blew through… Highways are closed with trees blocking them. Electricity is still out over areas….we’re lucky it seems… The power companies all say the most common cause for the outages are trees falling onto lines, or debris severing the supply….mind you apparently one outage was alleged to have been caused by a pivot irrigation scheme tumbling its way into the set of poles and that took down about nine poles..who’d have thought and irrigation system could be so hazardous! School just 1km up the road still has no power and no water. In addition to this there is a forestry block up at the end of the playing fields – T has been up in his arborist capacity and had a look – lots of work to do there and several trees that need seeing to immediately …so no school today (and I guess hubby is going to be busy soon!). The poor emergency services had a bit of an increase in calls to them!! Apparently this time mother nature decided to grace us with winds of over 150km/hr – about 10 minutes away from us at 170km/hr….because earthquakes weren’t enough?! Oh and back to something important for us……. Meet Kari …which is Swedish for wind….kind of fitting I feel. 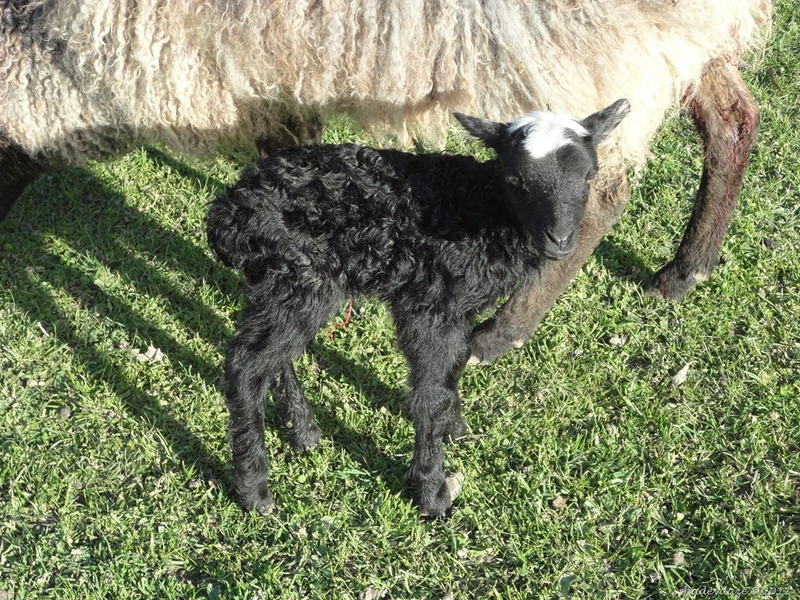 He is our first pure Gotland…a ram lamb and he already thinks he’s all that LOL!! I’m hoping he might be able to take on the mantle from his dad Magnus (we’ll keep him away from his mum of course)….time will tell. When we picked up the pigs last week we went back up to check on them a little later and we had a surprise addition…she must only have been an hour old!! Posted in Food Glorious Food! 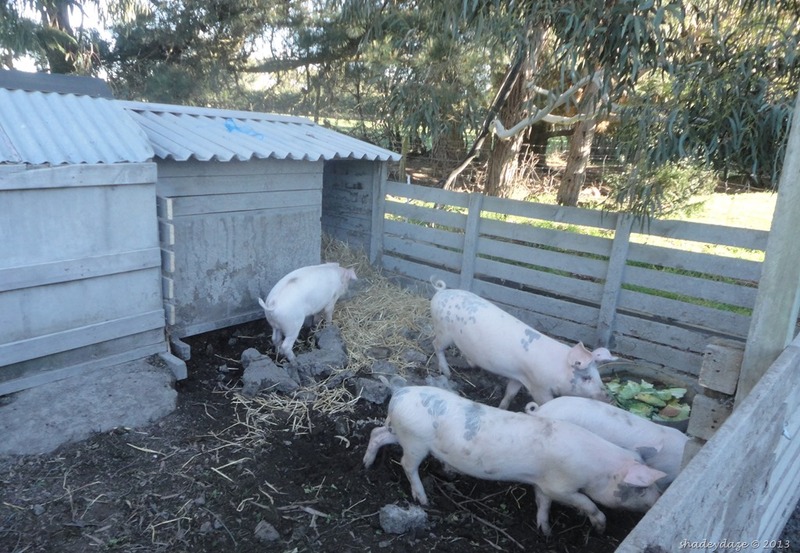 !, Lamb, Things Furred, Feathered and Fleecey..
We picked up some pigs last week….they’re not very old but they’re pretty big already. We made the decision to not breed pigs for a while …it’s hard keeping them long term not the least because you get attached to the sows. These will be here for a short time before they move to colder climates….but while they’re here they will be loved….and VERY well fed. Posted in Food Glorious Food! !, Pork, Things Furred, Feathered and Fleecey..
Take a look at the picture below…what strikes you as odd? Few too many eh? 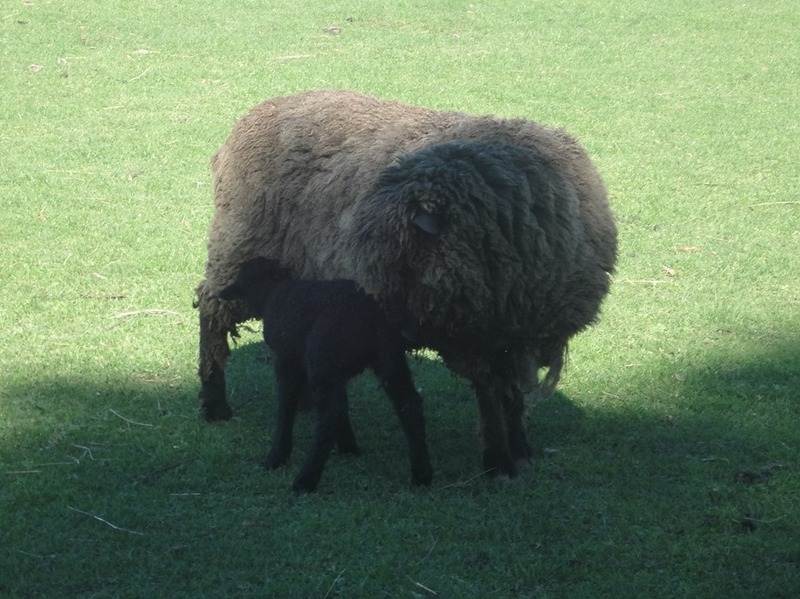 …..and when we got her to move this is the explanation…18 babies!!!! ….and she’s still fitting them all underneath her to keep them snuggled up at night!! 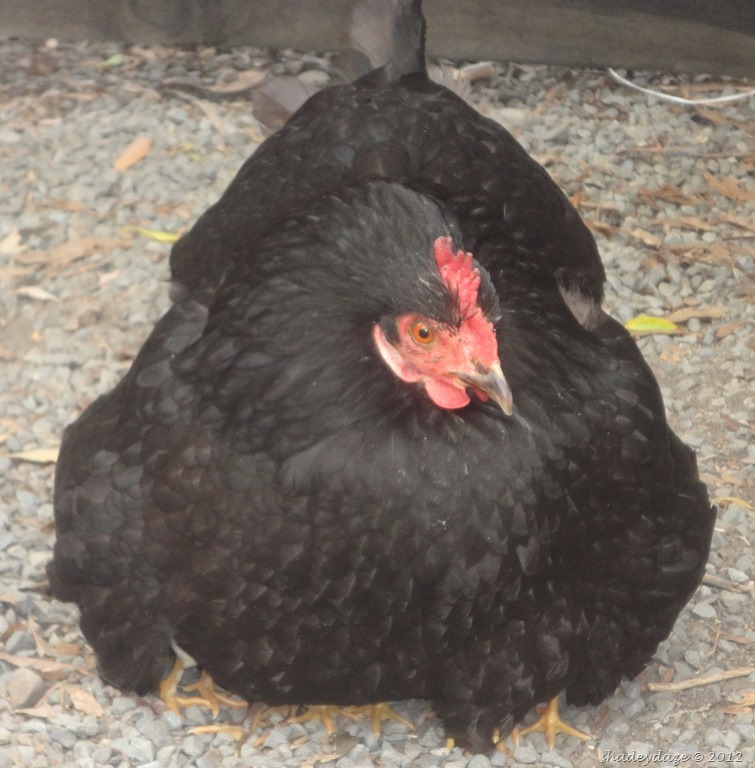 Just as well she had them when she did because it’s starting to get chilly now (we’re in Autumn) and they will be fully feathered before it gets too cold. Lambs…I got my times wrong!!!! 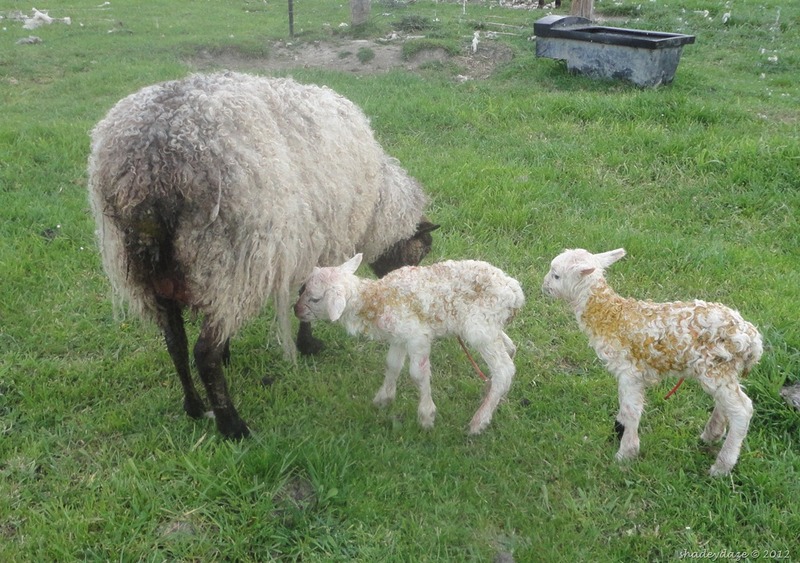 I was sure the lambs were due at the beginning of November but obviously not because on the 30th September Baarbara gave birth to twins (2 little ewes) some time during the night. 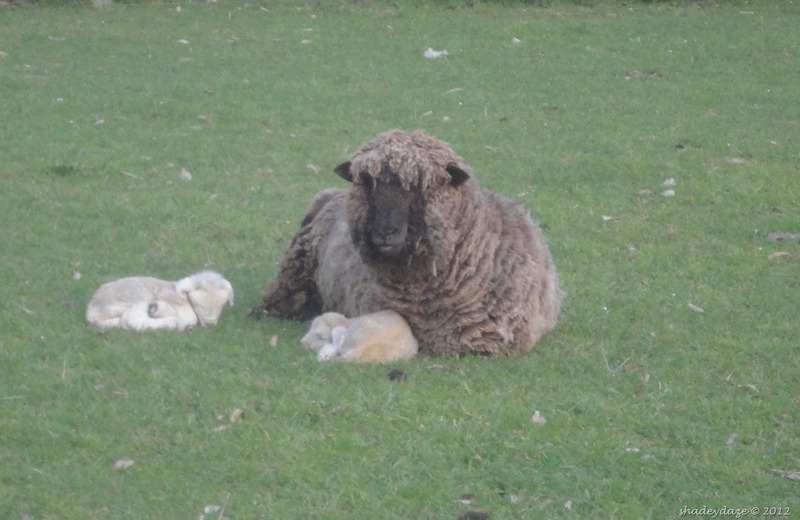 I got home from work and there she was sat in the field with her babies…..later that day and Margo produced twins (1 ewe and 1 ram) as well and the next day Freyja not to be outdone had two babies (1 ewe and 1 ram) as well. 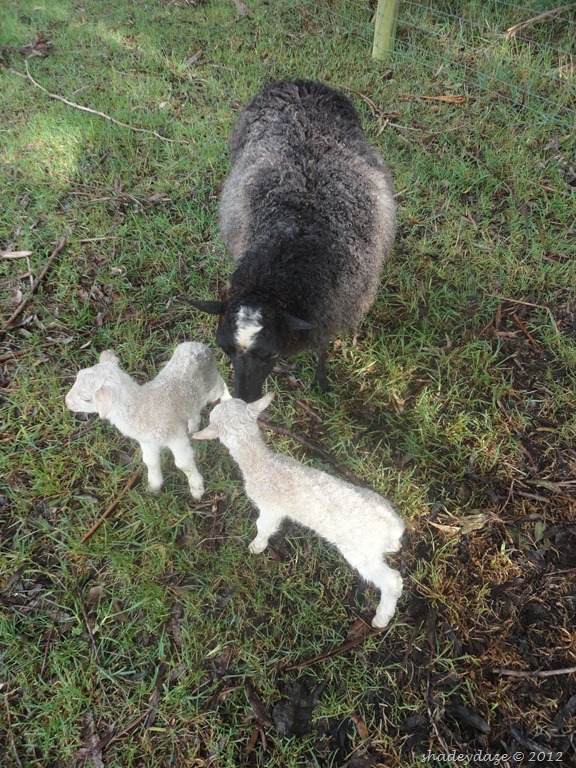 So from 3 girls 6 babies …this is a big deal for us…when you only keep a few sheep and it is partly about providing meat for you during the year then it makes a big difference….and ewes some of which we can keep to go towards having breeding ewes for the future. Our other ewes haven’t done anything yet but they could be due November…who knows!! Introducing our latest addition…handsome isn’t he? He is a Gotland ram and as far as I know he hasn’t got a name (well one that’s been used regularly to him)….so keeping in with the Gotland theme I have decided that from now on he will be known as Magnus – it’s a Swedish name meaning Great…lets hope he turns out to be just that (well in the dad department anyway). Unfortunately for him we had “the thug” stay here before he came to live here so the girls haven’t been very receptive to his attentions….I just hope he doesn’t get a complex!! He is part of the longer term project of producing sheeps cheese…Feta being one. 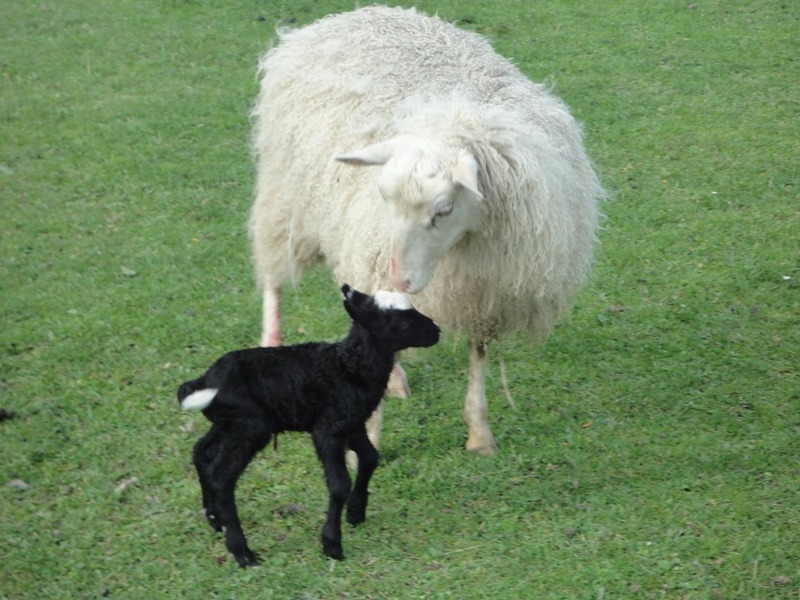 I had planned on using Gordon (who was an East Friesian / Awassi cross) to do this but he didn’t make it to produce any lambs and so Magnus is going to have to do the deed and see what sort of milk production comes from pure Gotlands…be interesting if nothing else. In the meantime Magnus is strutting his stuff around out place (and getting no where bless him! ).